Populist French presidential candidate Marine Le Pen visited Donald Trump’s headquarters but left without meeting the US president-elect or any of his staff, aides said Thursday (12 January). The National Front leader, who has praised Trump, was spotted having coffee at Trump Ice Cream Parlor on the lower-level lobby of Trump Tower with three men including her partner Louis Aliot, the party’s vice president. Asked by journalists if she was there to meet Trump, Le Pen refused to respond. French prosecutors are probing the far-right National Front (FN) for suspected fraud linked to payments for aides at the European Parliament, judicial sources said yesterday (5 December), as the party struggles to find all-important funding. Trump met another prominent European far-right leader, Britain’s top Brexit campaigner Nigel Farage, in November, when he was photographed open-mouthed in delight next to a grinning Trump. “She is not meeting with anyone from our team,” Trump spokeswoman Hope Hicks told reporters. “No meetings. It’s a public building,” Trump spokesman Sean Spicer said. Several hours later, friends confirmed that she had left out of public view. “Private visit. No statement,” Aliot wrote in a message when asked whether she planned to speak to reporters staked out in the lobby. The lobby is a public area, and although police imposed stringent security after Trump’s election on November 8, visitors are free to throng its souvenir shops and cafes. “We did not reach out to the Trump campaign, we did not reach out to Mr Trump even though he is a friend of mine,” Lombardi told reporters. Ukraine indicated on Wednesday (4 January) that it would bar French presidential candidate Marine Le Pen from entering the country after comments she made that appeared to legitimise Russia’s annexation of Crimea in 2014. Le Pen is gearing up to contest the French presidential election with polls predicting that she will qualify for a second-round run-off in May but ultimately lose to her conservative rival Francois Fillon. Lombardi told reporters that Le Pen “just happened to be here because I happen to live here,” adding that she may travel to Washington on Friday to meet members of Congress. He said he had introduced Le Pen to entrepreneurs, businessmen, industrialists and diplomats from the United Nations, whom he described as friends and potential donors, in a private gathering at Trump Tower on Wednesday evening. “We didn’t want to have a party for her in some restaurant or some open places, so we did a very private event, as I say we had a whole bunch of friends. It just happened to be at Trump Tower,” he said. Le Pen was one of the first foreign politicians to congratulate Trump on his surprise victory, which has emboldened far-right politicians across Europe. French support for Le Pen has been fueled by anger with elites and concern over migration following jihadist attacks — factors that also boosted backing for Britain’s decision to quit the European Union and Trump’s rise in the United States. 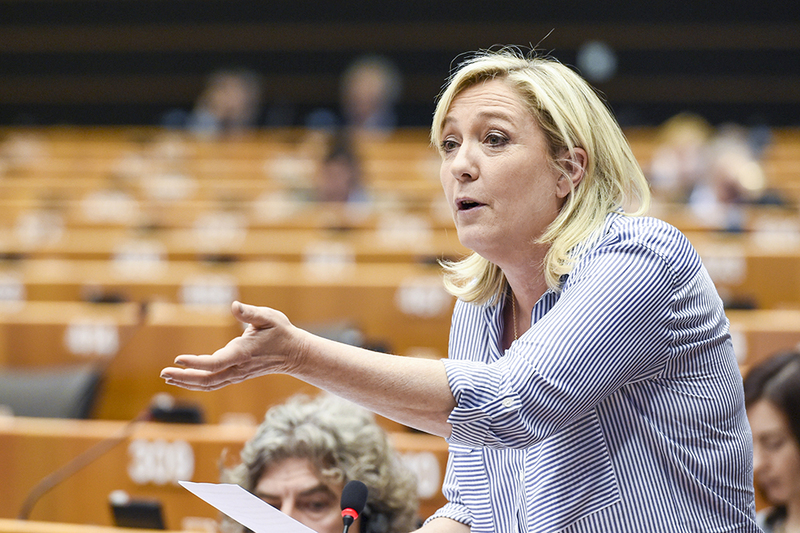 Eurozone countries should retreat from the euro single currency and return to a “common currency” structure, French National Front leader Marine Le Pen said on Wednesday (4 January), evoking the era of the ECU basket of currencies. 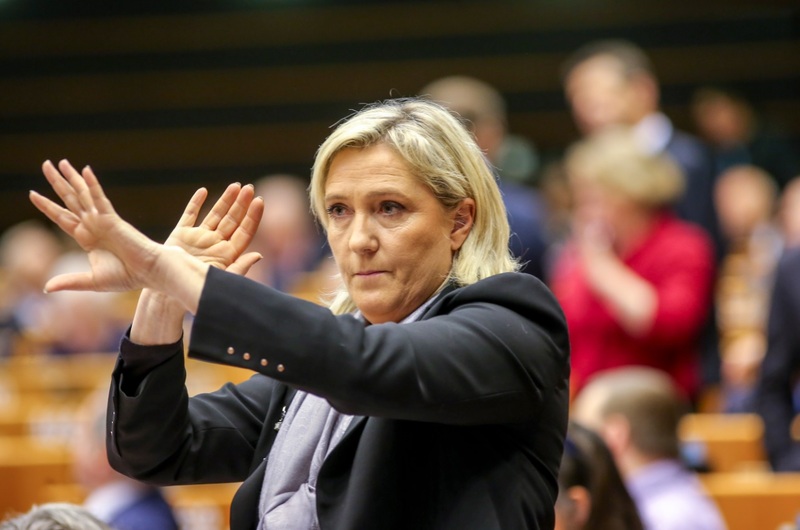 Like Trump, Le Pen has been a vocal supporter of Russian President Vladimir Putin as Moscow has courted the National Front and other populist anti-EU parties. Her party has also accepted funds from a Russian bank. Breitbart News, the ultra-conservative site whose former executive chair Steve Bannon is Trump’s chief strategist, has spoken admiringly of Le Pen. 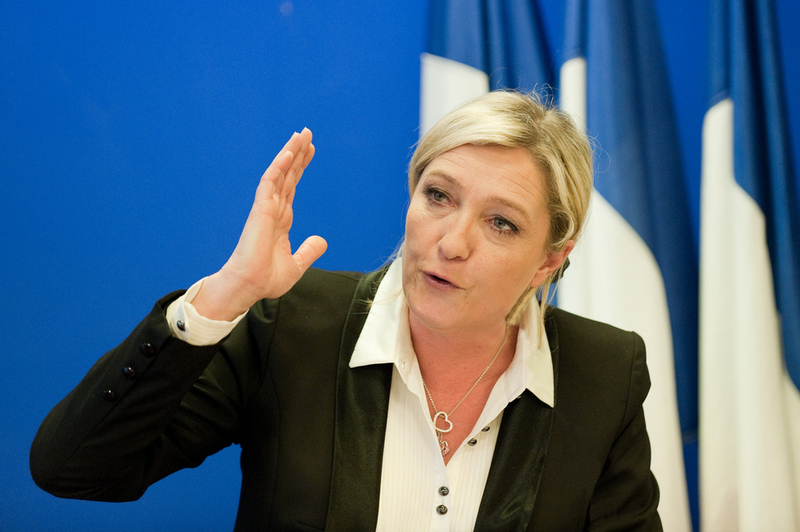 Describing herself as “anti-establishment,” she has worked to try to make the National Front more acceptable to mainstream voters, shedding the overtly anti-Semitic and racist image it had under her father Jean-Marie Le Pen. 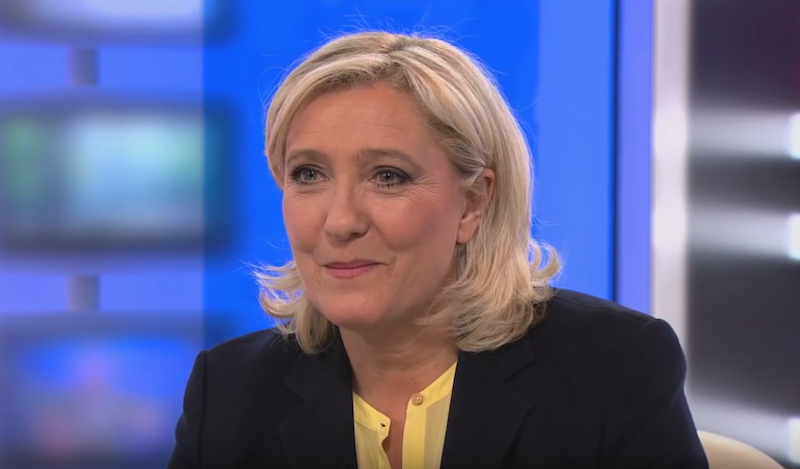 Her platform remains focused on restricting immigration, fighting Islamist fundamentalism and withdrawing France from the European Union.